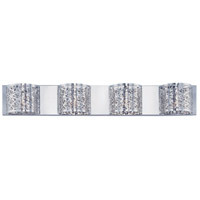 Q What is the overall length of this item from top to bottom? 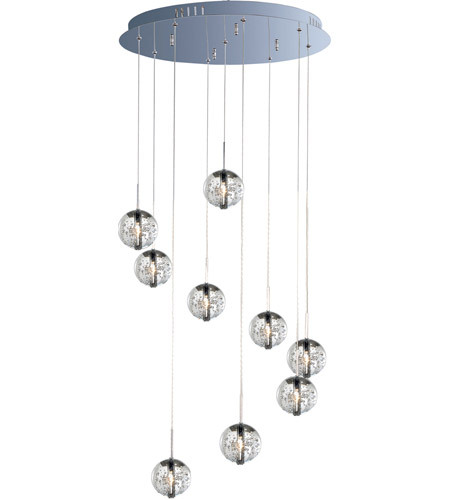 A The ET2 Orb 9-Light Pendant in Polished Chrome has a minimum height of 18 inches and a maximum height of 128inches from top to bottom. Q Can you adjust each strand to a different length? 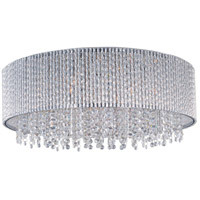 A Each strand on the ET2 Orb 9-Light Pendant E24254-91PC can be adjusted to different lengths. Q How do you change the bulbs? 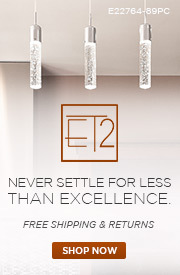 A To change the bulbs on the ET2 Orb 9-Light Pendant E24254-91PC, remove glass globe and bulb is exposed. 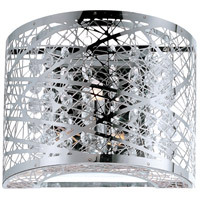 Q Is this chandelier dimmable? Thanks. 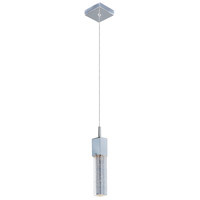 Q Can ET2-E24254-91PC be mounted on a sloped ceiling? A Yes, the ET2 Orb 9 Light Pendant E24254-91PC can be mounted on a sloped ceiling. Q what is the diameter of the globe? 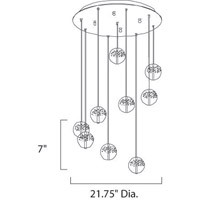 A The ET2 Orb 9 Light Pendant E24254-91PC diameter of the glass orbs is 4". Q How many lumens per bulb or how many total lumens does the light provides? 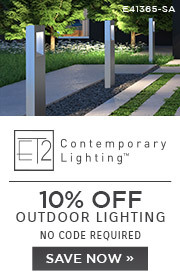 A The ET2 Orb 9 Light Pendant E24254-91PC has a rated lumens of 2880. 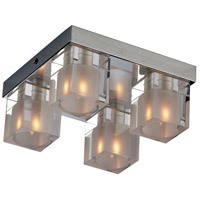 Q Could you make this into a custom fixture with a rectangular backplate? 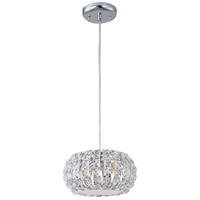 A Unfortunately, The ET2 Orb Pendant E24254-91PC cannot be customizable.